KGHM Ajax Mining Inc. proposes to develop the Ajax Project, a new open-pit copper/ gold mine located south of and adjacent to the City of Kamloops. The mine would have a production capacity of up to 24 million tonnes of ore per year, over an anticipated 23-year mine life. 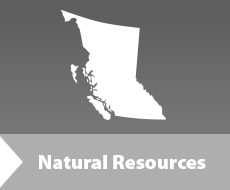 The Ajax Mine Project is subject to review under both the Canadian Environmental Assessment Act and B.C.’s Environmental Assessment Act and is undergoing a cooperative environmental assessment. Your feedback was invited on the Ajax Mine project until April 11, 2016. Additionally, citizens were invited to attend Public Information Sessions on February 16th & 17th. Environmental Assessment Office forwards all posted comments to project proponents so that they can be duly considered during the project’s Environmental Assessment process.